After a tiring or stressful day at work or school, as much as possible when we got home we only want to do things that would relax or make us comfortable. We want to have the best rest for every hour we have until we need to wake-up again and do work. Unfortunately, bugs and mosquitoes will always be around to ruin everything. This pests will make sure to make all things worsts by bugging and biting you all day long. Using mosquito coil, pesticides and any other chemicals will surely be a hassle and time consuming, worst is the smell is really awful and harmful to our health specially if you have asthma. All of these problems can be solved in a simple way that could also be used to decorate your home. 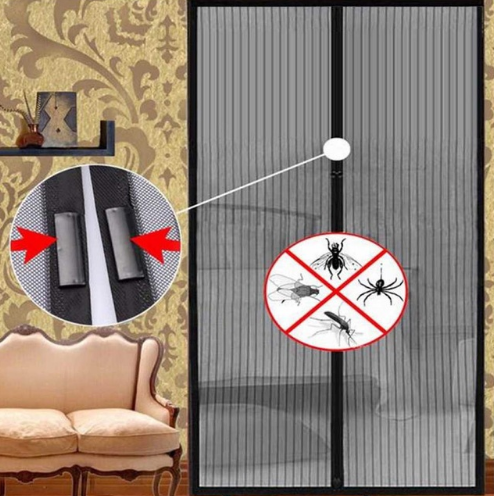 Magnetic Door will prevent any possibilities for this pests to cross again inside your home. Easy to Use and Install - It does not need any special tool or expertise to be installed. Just hook it up and it will be good to use. Kids and Pet Friendly - This magnetic door is thoughtfully designed to ensure that it doesn’t hurt the kids or pets in any way! 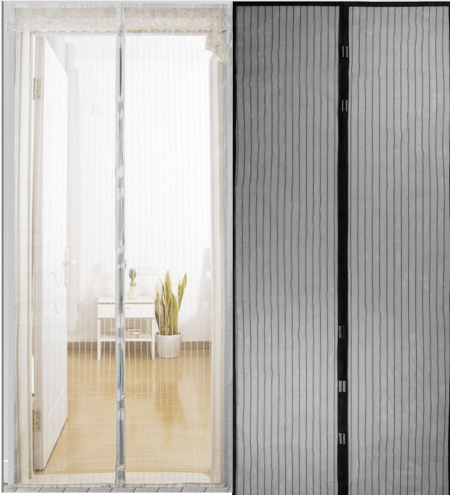 Fresh Air and Pest Free - Leaving your door open for fresh air and not having any pests around is now possible with the innovative benefit of having a Magnetic Door. 30 Day, 100% Money Back Guarantee - After you receive it, we're so certain you will love it that if you don't , you can send it back. No hassle. For a full refund.